I’m sharing a two month combo haul this time around because… well because March was gone in the blink of an eye and there was just no time to pull it together. Truth. We had a houseful again with the boys home from college on Spring Break. There was a lot of action in my kitchen – baking, cooking the big meals again, and all that fun stuff. 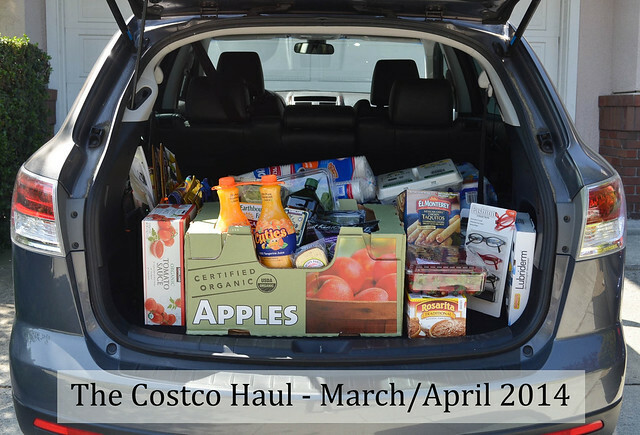 So, here I am in April sharing my last two Costco hauls but I think it was worth the wait. There were some good finds this time around, including seasonal items for Easter and a little appliance I’ve wanted forever. I had a bit more bounce in my step during the April haul since I was packing my rewards certificate. Needless to say, I did well on this shopping trip. These lobster raviolis were a first time buy and they were deee-lish. 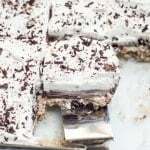 They are rich and decadent and I think best just tossed with a little olive oil and Parmesan cheese. Highly recommended! 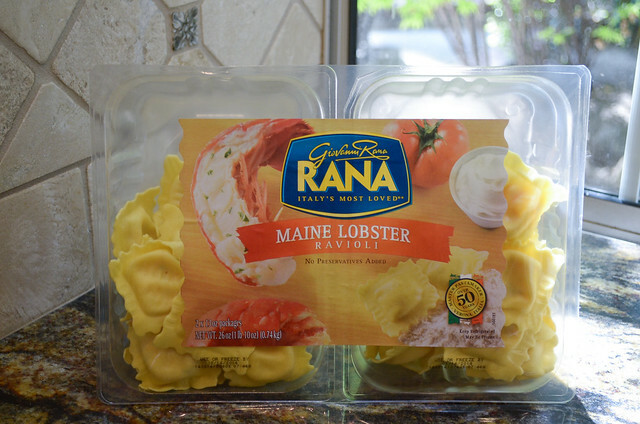 See below for a super quick dinner idea including these ravioli. The boys are back in town, the boys are back in town…… It’s required that we have something in the freezer that hungry guys can heat up and eat in a matter of seconds. 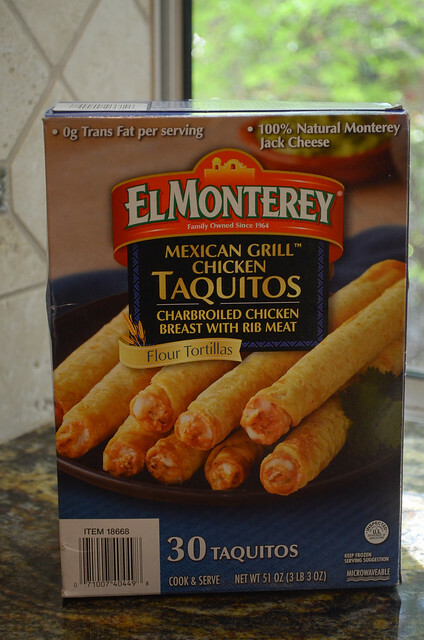 Taquitos are always a great choice. By the way, this package is dust. Okay, listen and listen good. This is the second time I’ve purchased an antipasto assortment from Costco and I’m singing it’s praises LOUDLY. This one includes Italian dry salami, dry coppa, proscuitto, and black pepper coated Italian dry salami. Slice up some cheese, grab some crackers, and place it all on a serving platter along with this antipasto and it will be the most loved appetizer at your gathering. And, it takes only a couple of minutes to throw together. 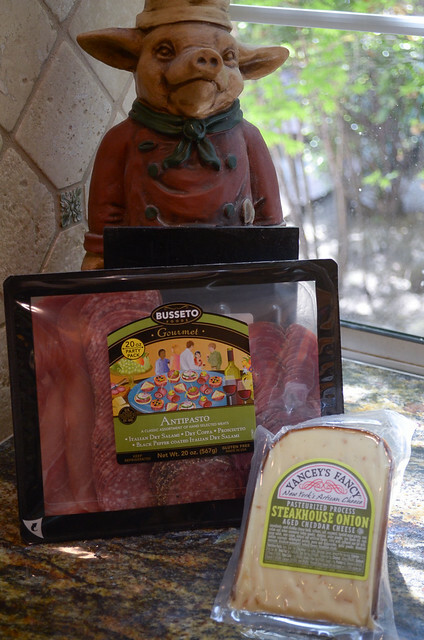 This Steakhouse Onion flavor is the most recent Yancy’s cheese we’ve tried and we loved it. Put it on the platter with the antipasto. That is precisely what I did. 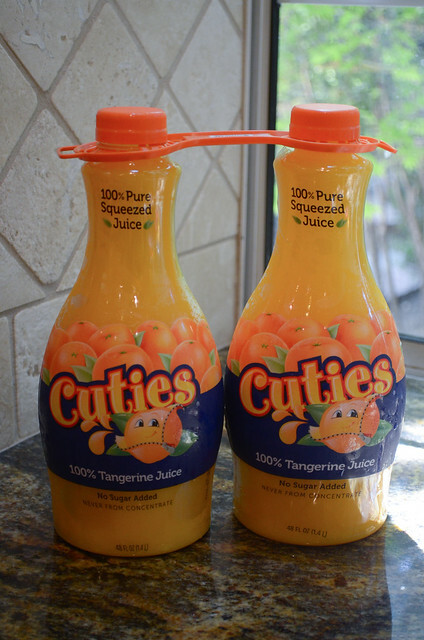 Besides being super cute, this tangerine juice is a delicious change from your morning OJ. The boys loved it, I loved it, it’s a winna! 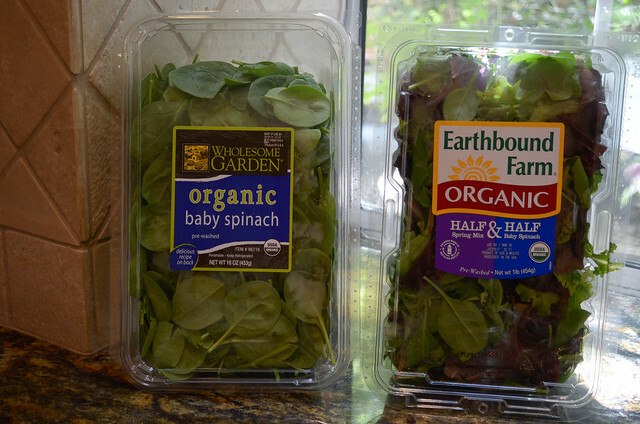 Costco has a better price on greens than I ever find, anywhere. This is the first time I’ve seen the bagged cauliflower in the ultra cold produce room. 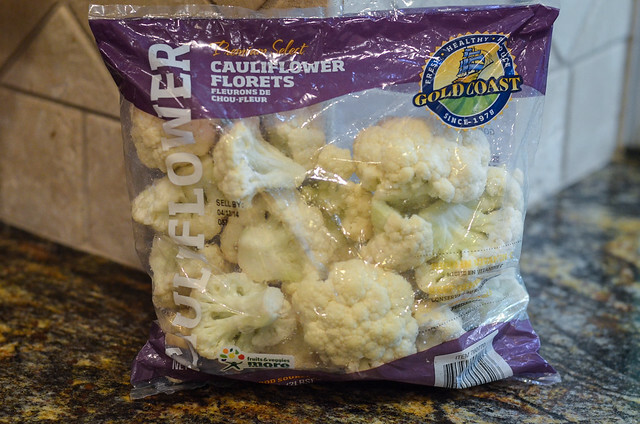 I’ve been wanting to share a cauliflower recipe so it had to come home with me. 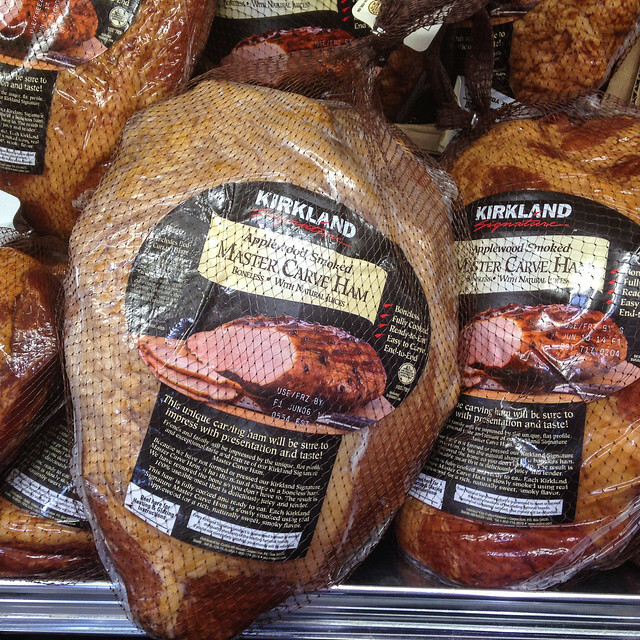 A seasonal item for Easter – the spiral sliced ham. I love that I can pick one of these up WAY ahead of time and I’m set to go. These hams are all vegetarian fed, have no added hormones and no antibiotics. 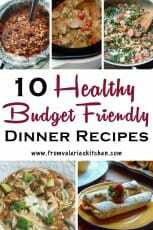 I’ve had great success with them and definitely highly recommend them for your holiday meal. For a delicious, easy recipe for this very ham take a look HERE. I had a big group over for dinner one night and roasted both of these to feed the gang. More than enough for 12 of us and a good value in comparison to the higher priced cuts. 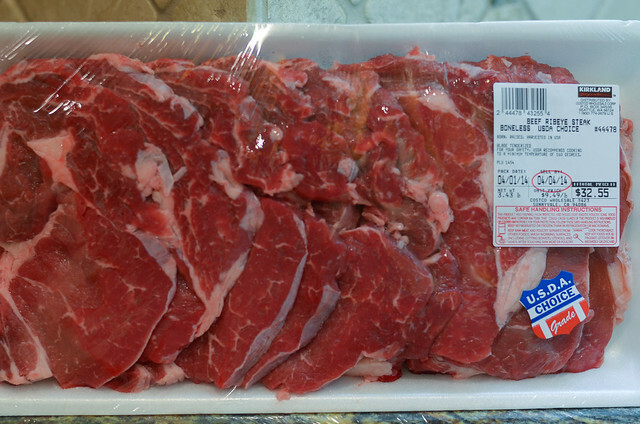 I’m loving these thin-cut boneless rib eye steaks. 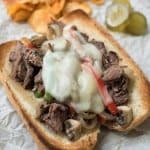 They cook on my indoor grill in a matter of minutes, they’re super tender, and just the right size for a steak sandwich. 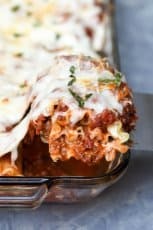 Here’s a crazy busy day dinner idea for you. I grilled up a few of the rib eyes and served them along with the lobster ravioli (above) and some roasted asparagus and it was literally a 5 minute meal. I’m talking actual cooking time. It doesn’t get much quicker than that. And, of course, I was so happy with the result I shared this photo of the pretty and very tasty meal on Instagram. Come find me on Instagram! 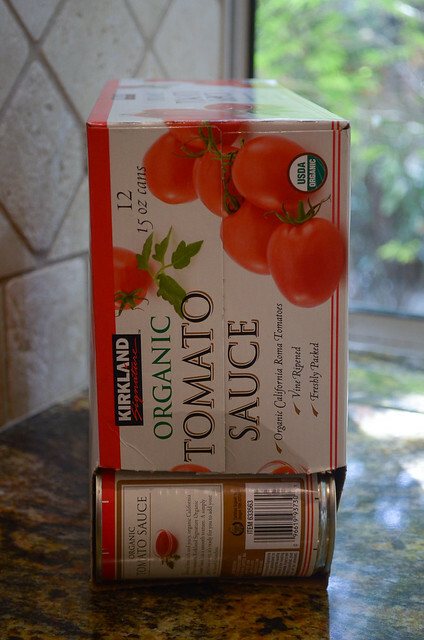 A pantry staple that it was time to restock. This beer will last a very long time in this house (did you believe that?). 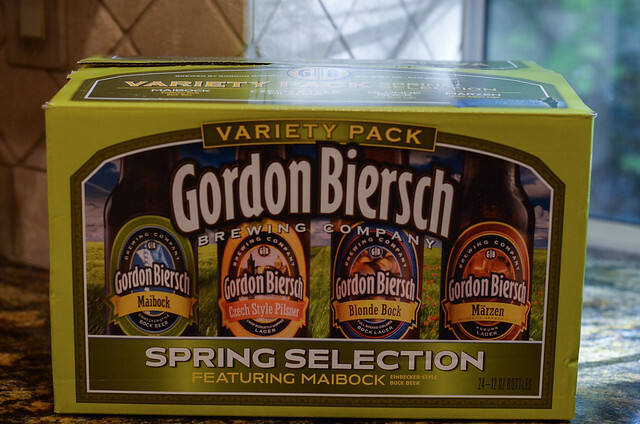 The husband enjoys the seasonal beers from Gordon Biersch and was happy to see this Spring Selection. I’m most excited about this purchase. 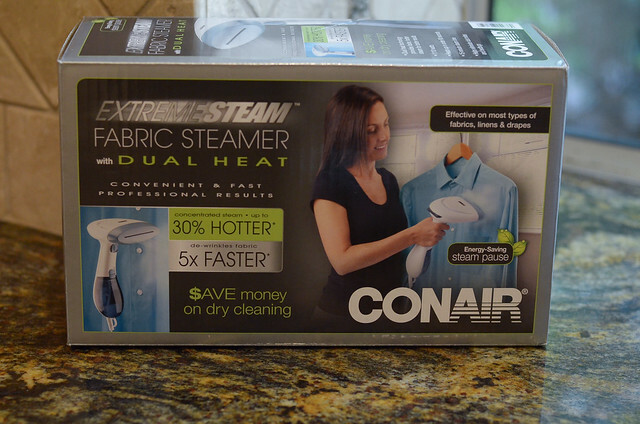 I’ve been wanting a fabric steamer for ages and the price was right so I grabbed it. I loathe lugging out the ironing board every time I need to banish a few wrinkles on a blouse. I can’t wait to steam away! And, last but not least. Because I’m not 20 anymore. Because I can’t read a thing without glasses. Because I can’t seem to find my glasses…EVER. 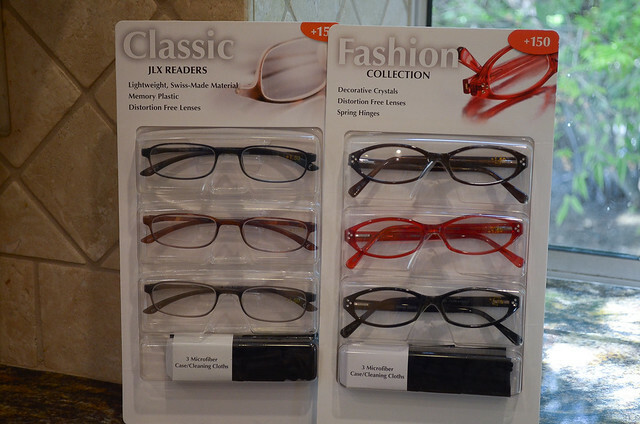 I decided it was time to stock up on reading glasses. A pair for my bag, for every room, for work. I’m covered. I’m totally going to rock that red pair. I’m adding a new feature to this series this time around. I’m including a few items I didn’t buy, but I wanted to! I pulled out my iPhone and snapped some photos so I could share. 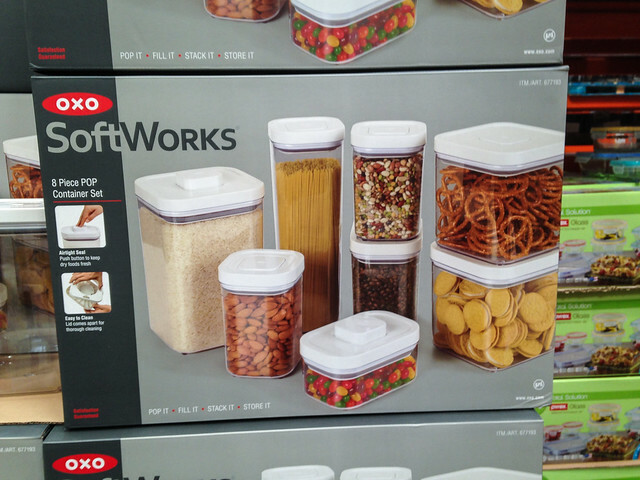 OXO Pop Containers! I’m crazy for these things. Costco has this 8 piece set for the low price of $47.99. I expressed my deep love for them when I reorganized my pantry a while back. To read more about that project and the containers click HERE. 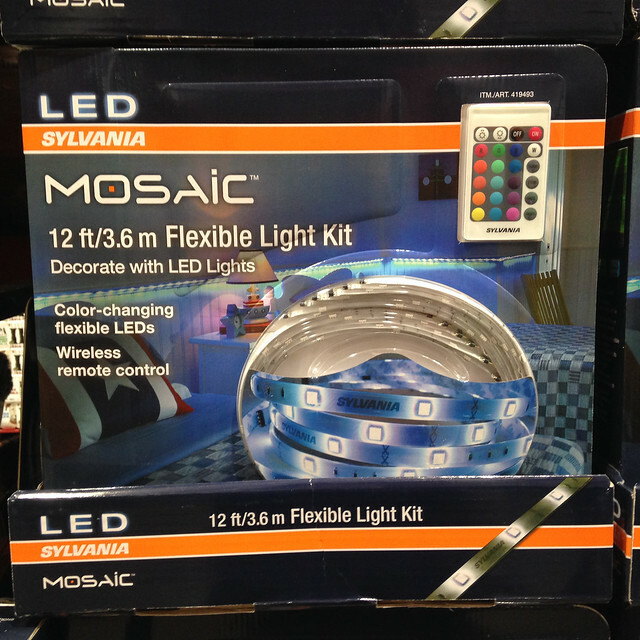 If my boys were younger I’d be all over this super cool color changing LED flexible light kit. It comes with a wireless remote control! This would be a pretty cool addition to your young person’s room and the price tag is only $24.99. They were carrying two types of ham for Easter this year. 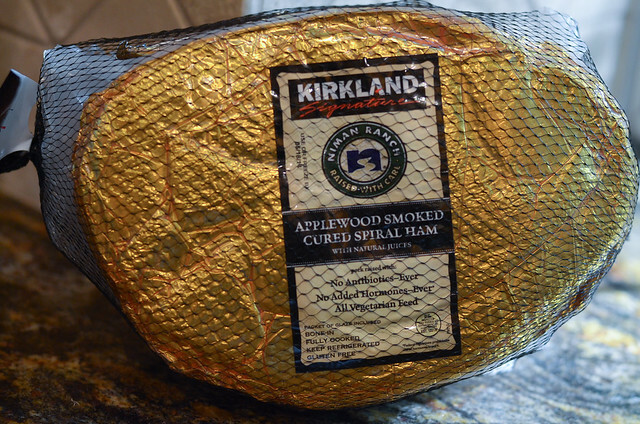 The spiral sliced variety that I bought (up above) and this Applewood Smoked Master Carve Ham. I have not seen this one before and was intrigued. If anyone has tried it, I’d love to hear how it worked out for you. It comes in at $2.79 per pound. A little less expensive than the spiral sliced. That’s all she wrote (and bought) in March and April. 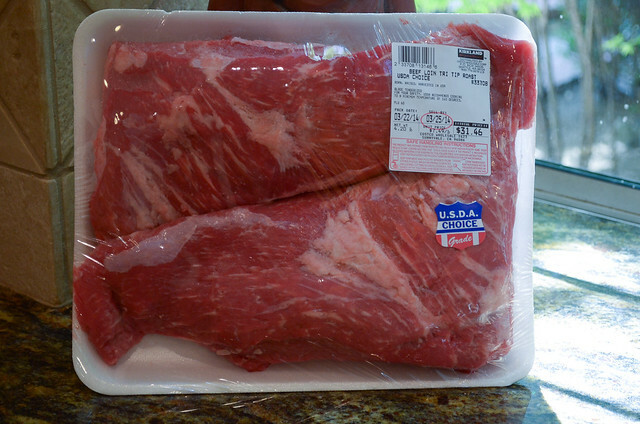 If you’re a Costco shopper, what are your favorite buys? I’m always on the lookout to try new items so please share! 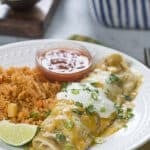 I love your Costco haul blog posts! I’m a Costco shopper as well, and am always interested to find out what others like to buy there. 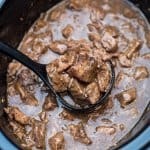 Some of our regular items are: Nutella, Nina brand San Marzano tomatoes, mixed salad greens, fresh mussels (on Saturdays), whole chicken 2 packs (hubs cuts them up and we freeze in parts, then make broth with the bones), Cetaphil, Neutrogena Makeup Wipes, croissants, artisan bread, and lobster dip. Love Costco! Hi Kim! Thank you so much for sharing your list of goodies! We buy many of the same things. Love those chickens! So, they have fresh mussels on Saturdays? I’d love to see what you do with them. My husband LOVES mussels. I’m a Costco lover too! I buy all of my husband’s meat there, the organic ground beef is an especially good price! I love reading what others buy at Costco. I often look into shopper’s carts and ask them why they are buying a certain item. Everyone is so nice and willing to share their favorite Costco tips. We tried the master carved ham over Christmas and it was excellent! 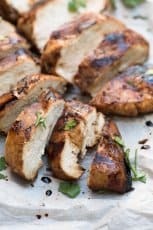 Super moist and tender. It’s a little more work to carve than a spiral but I liked it better. Great to know, Heather! I think I’ll give it a try next time. Feeding a bunch of hungry boys is no small feat! I love this haul, since I always forget what a huge variation of fresh produce and meats they have… in addition to 1000-packs of paper towels, ha! Thanks for sharing, Val. Off to the store! I absolutely love your positive attitude about a Costco haul. I work and shop there so it’s actually quite refreshing to see someone so excited about the deals. Oh and u have a set of the Led lights. Your boys don’t have to be kids to enjoy them and you would love the amount of light it produces. Even if you just want to light up a patio or a even a closet so your not using extra light, it works wonders. And it comes with a remote!! Wow! That is quite a haul! Love those lights and the OXO containers. I am stopping by from the BlogHer Newbie group. I will be attending for the first time this year and I am so excited! Following on Twitter & hope to meet you IRL in July! 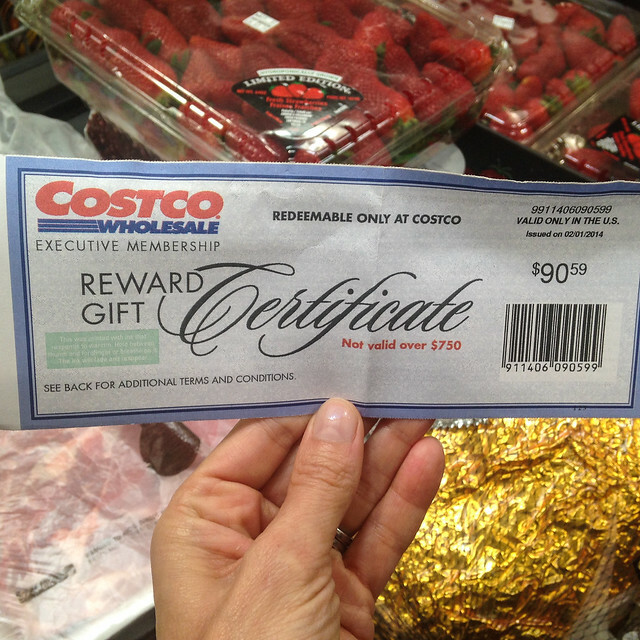 I love Costco, too, and I enjoy seeing what you purchase and hearing about the items after you try them. Let’s see, I ALWAYS buy a bag of artichokes – I love them and they’re a fabulous price. Mushrooms are also very good price point and I buy them for stuffing (I love jalapeno popper mushrooms) and for sauteing. 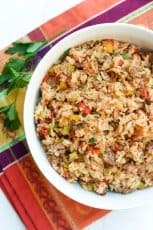 Recently I purchased the bag of Vidalia onions and a bag of mixed color bell peppers – and made a super delicious sausage, onions and peppers with them. Have enough for a second dish so will do that this week. I, too, buy the mixed variety sliced cheese you posted a while back for sandwiches as well as the mini loaves. And, I love the vacuum packed, finish baking at home, bread – it’s good, doesn’t take up room in my freezer and so nice to have fresh bread whenever. We don’t have the variety you had, though, just plain, but it is still a winner. I also love the rotisserie chickens and use it for enchiladas, etc. 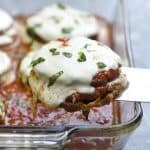 The stuffed bell peppers are good, maybe not quite as good as my homemade version, but so much easier. I just pour a jar of Prego over them and bake. Last time I bought the seasoned tri-tip steak and, by marinating in Tyler Florence’s fajita mojo (recipe on Food Network), it made the VERY BEST steak I’ve ever had in my life. Plan to get a couple more next time I’m there and I will be so disappointed if they are gone. Yes, I also love the parmesan cheese and the pesto. The pulled pork is very good, too, when you are in the mood. I like that it does not come with BBQ sauce because then I can use the one I like. I buy a lot of paper goods, such as paper towels, there, as well as ziplocks, aluminum foil, plastic wrap, etc. I also have been buying their combo packs of scented oils (Glade/Air Wick) for the house. I need to take calcium supplements and can’t stomach regular calcium citrate pills, but I like the caramel flavored chews so when I can find them, I buy those. They are super hard to find, though, nearly always even though the packaging indicates the cases should be half caramel and half chocolate, all I see out are the chocolate. I’ve heard the sardines are good so I intend to try those next time, I’ve been buying cases of them from Amazon. Olive oil – I buy the same one you do. 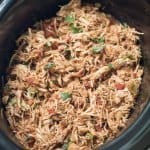 I like the shredded Mexi-mix cheese, I know the block cheese is better, but I don’t have the energy to shred it myself and I am not crazy about cleaning my cuisinart. Last year I was loving the Roja’s Tomatillo and Avacado salsa and was so disappointed when it disappeared in the winter. Thrilled to find it back on my last trip, but, I don’t know if it is me or they changed the recipe, it doesn’t taste as good as I remember – and I think my memory is accurate because I sure bought many jugs of it last year. Batteries are a great deal there, too. And, I love my Contigo thermal-insulated mugs. Used to buy the readers, but had to go prescription as my eyesight was getting worse. Anyway, I could keep going, there are so many things I purchase there, but this is getting too long. Keep these posts coming! darn typo…should be “avocado”, of course. Wow, Gigi! Thanks for this great recap of your finds. It’s funny how no matter how much I go, I always hear about new goodies I want to try from other Costco shoppers. I haven’t seen the bread you mentioned but I’ll keep my eyes out for it and I’d like to try the artichokes too.